Here is a wine you won’t see much of, if indeed it is a wine. 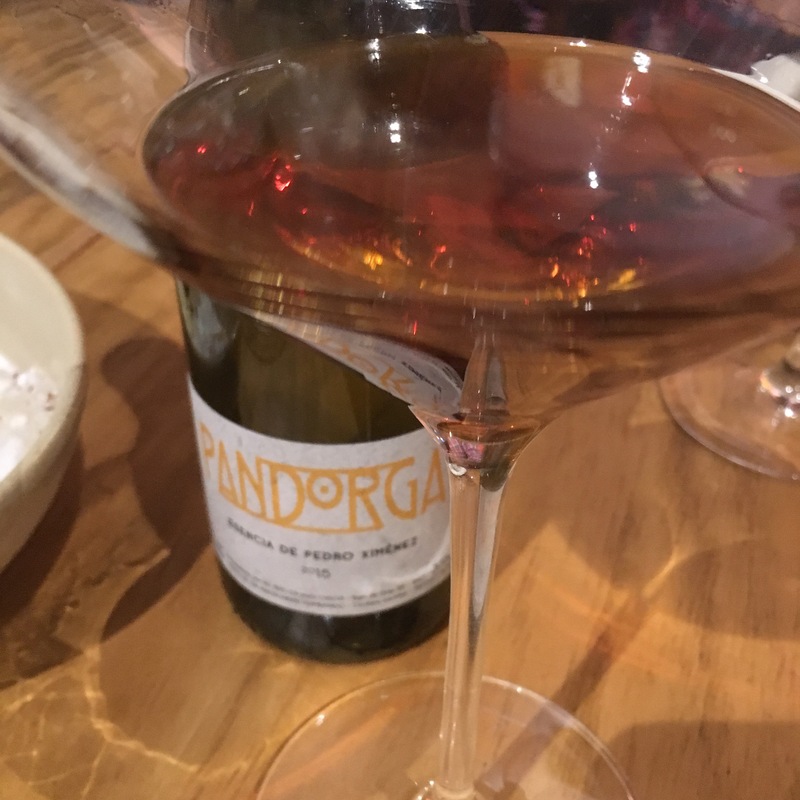 It is the second edition of Ramiro Ibañez’s Pandorga pedro ximenez and, like the first, seeks to express the characteristics of the fruit and the añada – a young wine fermented in bota and no attempt to “correct” the effects of the growing season on the fruit. In most cases of industrial production a cool drying season might be corrected by more days of asoleo and fermentation at higher temperature, and a hot season with fewer days and more controlled temperatures. Ramiro’s approach is pro-cyclical: the effects of the cooler 2014 season given very little asoleo and accentuated by the naturally lower temperatures of fermentation. By comparison the hotter 2015 growing season meant more asoleo and a warmer fermentation. The result is an extraordinary, a tiny amount (and thus sold in tiny bottles) of nectar with 520g/l of sugar and only 5% alcohol – too little to allow it to be labelled wine. And if the 2014 was apricot jam this is fresh, ripe apricot juice. Just a touch of acidity to keep it honest, but the words that spring to mind are along the lines of ambrosia, nectar, sherbet and similar.